Johan & The Panache Band (Official) is the real old-school R&B/FUNK cover show band featuring lead singer Johan originally from St. Louis. Johan picked up his first guitar at 6 years old and toured with the Gospel Airs and with his band Talk of The Town in Germany & Europe back in the 80’s. The Panache Band has toured the LA gig circuit from Universal Bar & Grill, Pig N’ Whistle, The Palladium, Make Music Pasadena, and other LA venues paying tribute to the greatest: James Brown, Earth Wind & Fire, Morris Day & The Time, Cameo, Marvin Gaye, Bob Marley, Commodores to name a few. The Panache Band brings the house down! Johan is an all around entertainer often called a “phenomena” on stage by both men & women. The funky old school groove along with Johan’s soulful and sultry vocals will make you groove on the dance floor! Here’s a snippet of a Review Repost from contributing Writer at OurStage – Under Covers – Volume 4- for one of the people’s favorite cover “September” by Earth Wind & Fire. A multitude of songs entitled “September” subsist in the land of tunage —both outside and inside the realm of OurStage. For the most part, they deal extensively with the two moods mentioned above; excitement with the dawn of a new season and relaxation with the soothing passage of a scalding summer. 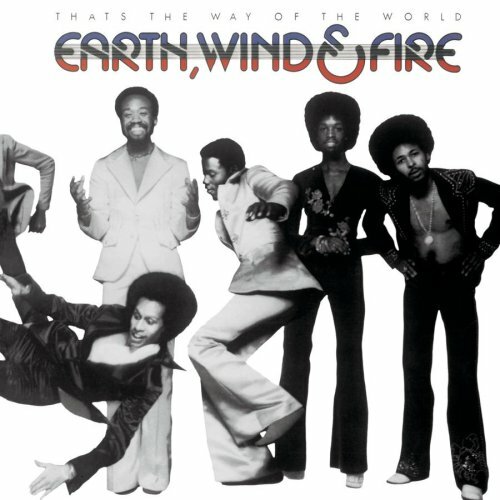 Perhaps offering the best sonic documentation this bliss can deliver is “September” by Earth, Wind & Fire. EWF was a funk powerhouse in the 1970s. Bridging funk with gospel, rock, pop, and eventually disco, the band’s sound inevitably transformed into a hodgepodge of lovable genres; genres that proved pleasing in isolation but addicting in marriage. When these styles are crafted together by master arrangers, performed by fantastic musicians, sung with what is perhaps the sunniest falsetto on the face of the planet, the result is music magic. The first single off the band’s ARC label, “September” appeared at the end of the decade. Sung in past tense, it can be viewed as both a remembrance of nostalgic memories and/or motivation to look forward to the future. It is the perfect hybrid of sorts, combining the brass heavy funk groove of the early 70s with the straight ahead disco percussion audible in the latter years of the decade. Luckily, this song’s euphoric energy has not gone unnoticed in the realm of OurStage. This entry was posted in Music Press and tagged Earth Wind & Fire, Featured, Funk, Johan & The Panache Band, Our Stage, R&B/SOUL, September. Bookmark the permalink.